OHAUS raises the bar in value-oriented scales…again! The Navigator series offers a unique combination of features, including touchless sensors, ultra-fast response time and superior overload protection for use in a wide variety of weighing applications. Touchless Sensors - Navigator is designed with two touchless sensors that will free up your hands so you can focus on handling samples. The touch-free control of the zero, print, function or tare operations helps to avoid transferring sample residue to the keypad. In addition, the two sensors can be set up independently to control up to 36 combinations of operations. One Second Stabilization Time - Navigator is designed to accurately stabilize in less than one second to provide fast and accurate weighing results, improving operator efficiency, productivity and throughput. Superior Overload Protection - Navigator is designed with a superior mechanical overload protection system that allows the scale to withstand loads up to 400% of its rated capacity. 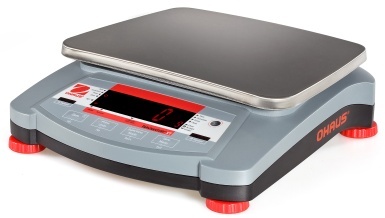 This prevents damage to the scale and helps it withstand undue shock or overloading. In addition, an integrated shipping lock further protects the weighing cell from damage during transportation or storage. LCD or LED Display Options - Navigator is designed with LCD or LED displays to provide the best visibility in any lighting condition. Whether you use the Navigator indoor or or outdoor, the display is also designed with large numeric segments and unit indicators to make the weighing results easy to read. Models in this range include the NVT1601, NVT3201, NVT6401, NVT10001, NVT16000, NVT1601M, NVT3200M, NVT6400M and NVT16000M.